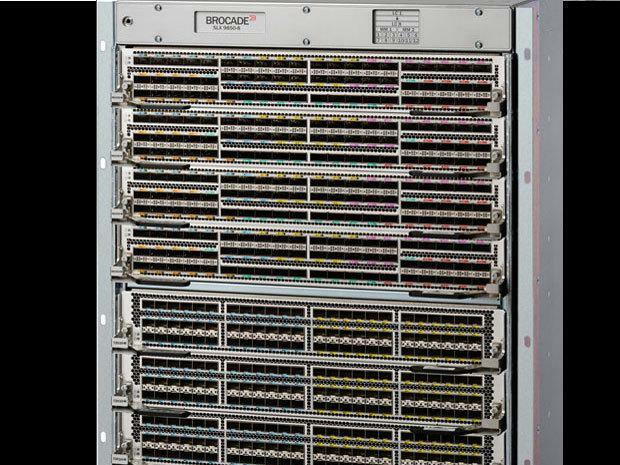 The Brocade SLX 9850 expands the Brocade routing family and offers 15x more total capacity than the current Brocade MLXe box. Brocade this week rolled out a big data center router its says will handle and help manage the massive amounts of traffic expected to cross enterprise networks in the not-to-distant future. The Brocade SLX 9850 expands the Brocade data center routing family and supports 15x more total capacity than the current Brocade MLXe box via a 230Tbps non-blocking chassis fabric capacity for 10/40/100 Gigabit Ethernet connectivity. “With bandwidth demands exploding from the digital transformation of organizations as they leverage IoT, Mobile, Video, Cloud and Big Data technologies, the ability to cost-effectively scale network capacity – in terms of bandwidth, devices and policies is foundational,” said Daniel Williams, Brocade’s principal director of product marketing for data center routing. Brocade pointed to a recent Gartner forecast of 6.4 billion connected things will be in use worldwide in 2016, up 30% from 2015, and will reach 20.8 billion by 2020. In 2021, video will account for about 70% of mobile data traffic. With cloud services, video streaming, internet of things and mobile connectivity growing at exponential rates, organizations must ensure that the infrastructure they deploy today can support dramatic future traffic growth. “Key to any routing solution for this digital era is a platform designed to support new customer requirements without a rip-and-replace as networking silicon capabilities advance,” Williams said. The Brocade SLX Insight Architecture featured on the 9850 which is an open kernel-based virtual machine (KVM) that can run third-party and customer-specific monitoring, troubleshooting and analytics applications. It is designed to make it faster, easier, and more cost-effective to get the comprehensive, real-time visibility needed for network operations and automation. It also provides a dedicated 10G Ethernet analytics path between the packet processor on each SLX 9850 interface module and the KVM environment on the management modules. This allows applications running in the KVM environment to extract data via an internal, isolated link, without disrupting forwarding or control plane traffic. Brocade’s existing Workflow Composer works with the SLX 9850 to offer what the company calls dev-ops style automation. Workflow Composer, which is developed by the StackStorm open source project, automates workflows across multiple IT domains within the services delivery chain—such as network, compute, storage and applications—to bridge organizational silos within the data center. The Brocade SLX 9850, which competes most closely with the Cisco NX9500, Arista 7500R and Juniper OFX 10000, is expected to be available in the fourth quarter of 2016. Brocade Workflow Composer is available now for an annual subscription price of $25,000 per data center or admin console.